Donations will go towards uniforms, travel expenses and professional coaching. Your support is vital for the success of this program. 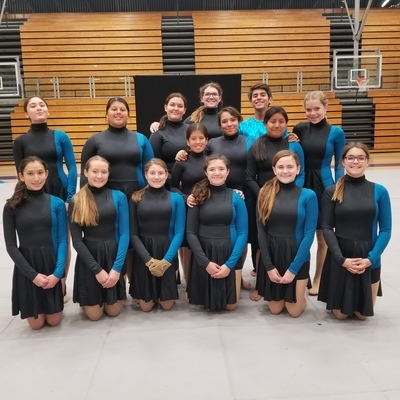 Donations help us offer a quality color guard for all students. Without this funding, students are not able to receive the quality color guard experience they deserve. Color Guard Family, friends, and fans - Thank you so much for taking the time to view our fundraiser page. Your support will help us offer a higher quality color guard experience for all of our students. If you could please spread the word about our fundraiser by sharing it with your friends on Facebook and Twitter we would greatly appreciate it. Go Lancers! "Proud of you Rebecca "
"Great job Hayden reaching your goal of $500!!" "Congratulations on your wonderful Color Guard Team!" "We love what you are doing. Have a great time." "So proud of you!!! Follow your dreams." "Congrats guard on reaching your goal!" "Keep up the great work, Kira! We love you! " "We miss you Emy! Love, Uncle Frank and Aunt Laura"
"We are very proud of you. Love you Grahama and Grahampa"
"I love you Chloe. Love Grandma "
"We’re so proud of you Marissa! You’re an amazing co-Captain with an incredible team!"